ACCORDING to Spanish soccer club Barcelona, it has become the first sports team in the world to surpass the $1 billion mark in revenue. The Spanish club, which presented its annual accounts on Tuesday, said it earned US$1.05 billion (914 million euros) for the 2017-18 season. Barcelona said it is the eighth straight year it has closed with a profit, with accumulated gains of 188 million euros since 2010. It is the fifth consecutive year the club has broken its own record income. The club said its debt on June 30 was 157.4 million euros. Barcelona said its budget for 2018-19, which will be submitted for approval in October, foresees earnings of 960 million euros (US$1.1 billion), in line with its strategic plan of reaching a revenue of 1 billion euros (US$1.15 billion) by 2021. "The extraordinary income from payment of Neymar Jr.'s buyout clause (222 million euros) has been compensated in next year's budget through improved commercial and sponsorship revenue, media rights, exploitation of the stadium and transfer of players," the club said. 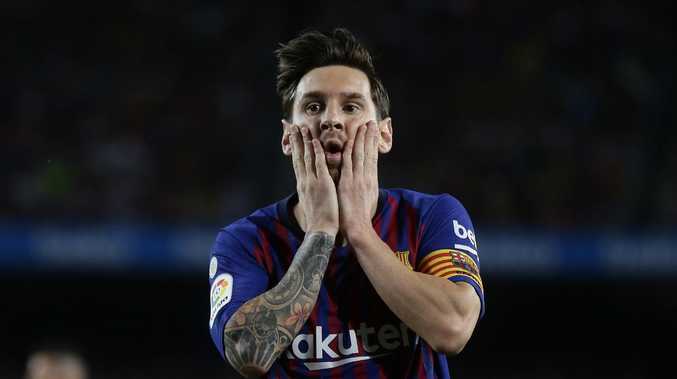 One of the main reasons for the increase in revenue was the new cycle for distribution of UEFA payments for the Champions League, Barcelona said. Last month, Real Madrid said its operating revenue for 2017-18 reached 750.9 million euros. The figure, which doesn't include gains from the transfers of players, represents an increase of more than 76 million euros, the largest rise for the club in a financial year since 2000. Real Madrid said it has no debt.